Home Sports NBA Is it time for Knicks to make Carmelo Anthony trade? Is it time for Knicks to make Carmelo Anthony trade? New York Knicks star Carmelo Anthony wasn’t thrilled with this year’s ESPN NBA Rankings. When the list factored in his age and situation, Melo ended up No. 64 overall, down from No. 31 last season. That puts him right between Boston Celtics guard Marcus Smart and Los Angeles Lakers rookie Lonzo Ball. 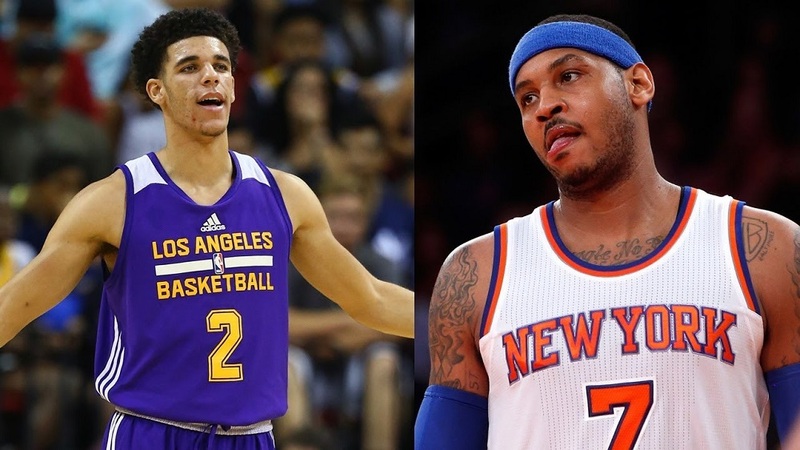 That’s right, Carmelo is behind Lonzo Ball, who has yet to even play a regular season game in the NBA. While I’m not sure how much further up the list Melo would like to see himself, I will admit that placing a superstar (maybe former superstar?) behind a rookie is blatantly disrespectful on ESPN’s part, even if it does turn out true come the end of the year. The list does have people talking, however, including Melo’s old Syracuse and Team USA coach Jim Boeheim. At this point, according to Boeheim, the Knicks need to get rid of Melo as quickly as possible so he can start over and prove himself elsewhere. Where is that elsewhere? Where else but the Houston Rockets. It’s more of a “when” than an “if” now. At this point, with the season so close, the Knicks need to do something fast. No one wants to see Melo in a Knicks uniform anymore—especially Melo. Chris covers everything NBA, NFL and NCAA with his weekly recaps, highlights and anything else he thinks you'll want to know about and more than likely things you don't want to hear about your favorite team. His take no prisoners opinion gets some fans worked up, but that's because he's almost always right.